HMS Dreadnought in auld English “fear nothing”, is certainly one these vessels that changed history, creating a whole new class after its launch. There was a “before” and an “after” Dreadnought. This ship indeed was the first to step up the battleship concept to a higher level. It was a revolution in naval warfare, such as the first all-iron ironclad, HMS Warrior in 1860. Then it was the invention of the Coles turrets, replacing guns ports and traversing batteries, the revolution in steam engines (triple expansion), turret instead of open barbettes, torpedo tubes, up to the standards of the “pre-dreadnought” battleship build by all major maritime Nations from 1890 to 1906. There was of course only “battleships” until the, but the new pet project of Jackie Fisher made them all obsolete overnight. Invariably, classic battleships had four 12-in (305 mm) in two twin turrets, fore and aft, and secondary guns of 203 or 254 mm (8-in, 9-in), then from 152, 120 to 106 mm (6, 5, 4-in), completed by smaller, faster guns to deal with torpedo boats, 76, 57, 47, 37 and 20 mm caliber, not to mention submarine torpedo tubes. Symmetrical, using coal, measuring from 110 to 135 meters long, 22 to 25m wide for 15,000 tonnes they could achieve on average 16 to 18 knots. The genesis of the Dreadnought deserves a book by itself, but it was clear conservatism in battleship designed ruled at the beginning of the century. However, new kind of ideas appeared in 1890 that seemed to find echoes: The armoured cruiser. Perfect hybrid, the concept joined speed (and other cruiser qualities) while still possessing potent weaponry (254mm guns), and enough armor to withstand heavy fire from other cruisers or even take older ironclads. 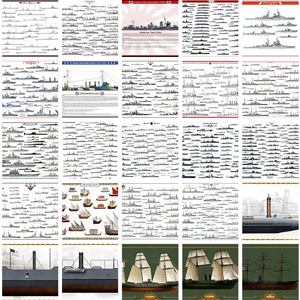 These ships came to shine in the Russo-Japanese war, and also before in the 1898 Spanish-American war where these ships proved their effectiveness in combat. Early in the century, the British were building powerful cruisers including an assortment of heavy guns in 6 turrets and more, such as the HMS Defence or the Minotaur class. 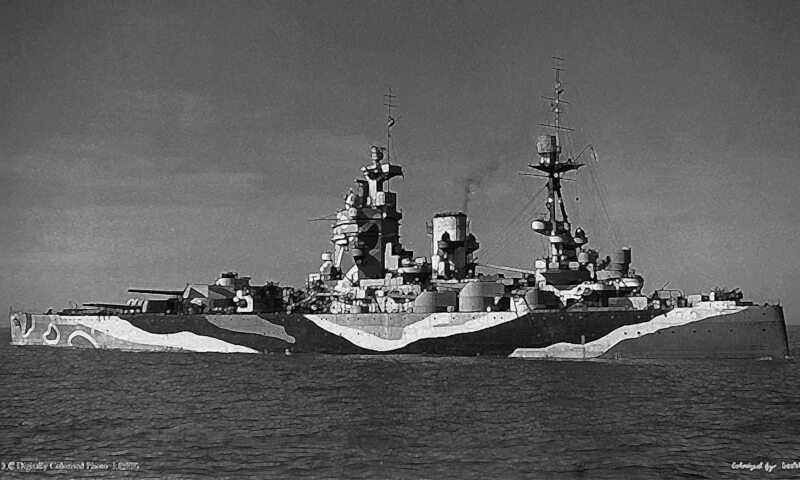 Italy, which was also innovative in naval technology, looked for such an alternative to traditional battleships, trying to mix the speed of a cruiser with the advantage of armor. Engineer and theoretician Colonel Vittorio Cuniberti had proposed to the Italian Admiralty in 1903 its own “fast battleship” project armed with twin turrets of a large caliber (but still not battleship caliber). It was basically a ‘monocaliber armoured cruiser’. His project, initially rejected, was however published in Jane’s Fighting Ships and came into view to many naval officers. The idea pleased Jackie Fisher, the then impetuous First Lord of the Admiralty, so much that he mandated a study by a special commission. The latter quickly suggested a rough blueprint, and the HMS Dreadnought’s keel was finally laid down in October 1905 in Portsmouth, and launched February 10, 1906, an unprecedented speed record for such ship. Cuniberti’s plans were eventually endorsed by the Italian naval staff that ordered four battleships of the Regina Elena class. These were still “classic” battleships with two main turrets, but fast, and provided with a very powerful secondary armament. Therefore the Dreadnought will remain the first of this new generation of battleships. With the Dreadnought, the Royal Navy, which already had an overwhelming numerical superiority, further increase the distance technologically with its potential rivals. The delay for these to catch up left the advantage to constitute a sizable force of dreadnoughts until 1914. > Mixed coal boilers with fuel injection for extra knots. There was also an innovation ‘by default’, by removing the secondary artillery, the 6-in caliber, and falling down directly to very light anti-torpedo boat caliber. In any case, the Dreadnough had a superior reach and accuracy than any battleship, long before bringing own’s secondary artillery close enough. This ship was radically different than the previous Nelson class, started earlier but launched in June and September 1906. They had only two 12-in turrets, against five twin for the Dreadnought. However, the Nelsons were modified during construction, receiving 6 single and double 254 mm turrets, faster than the 305 and almost equal in range. They also managed to reach 18 knots, against 21 for the Dreadnought. Above all, the Dreadnought only had ten 76 mm as secondary armament, illustrating perfectly the concept of “monocaliber” or “all big guns” battleship. Since size was already far greater than the pre-dreadnoughts, arrangement were made to give at least three of the turrets maximal traverse. Indeed, A, D and E turrets were centerline, while the B and C were located on each sides, with about 190° traverse (they could fire either on chase or retreat). The second important point was her steam turbine that helped this heavy ship pass the 20 knots realm, reserved until then to cruisers and smaller ships. This was not the 23 knots planned by Cuniberti, though. By creating the Dreadnought, Fisher gave the Royal Navy a ship ahead of any competition. But this choice also provoked a panic in the British admiralty: One of the crucial advantage of the Royal Navy until then has been its immense fleet of battleships, twice as many as the two next best navies put together. The Dreadnought just negated this advantage. One nation in particular, rejoiced of this choice: The German Navy. Starting really t built up after 1890s the Kaiserliches Marine was never able to catch the Royal Navy in quantities and in quality (at least of the main artillery caliber, or Hipper’s choice to stick with VTE instead of turbines). By jumping to the Dreadnought in 1906, it was the perfect time for Germany that just had the steel production and network of providers for its brand new naval yards. The Empire was now capable to deliver dreadnoughts faster, closing pace with Great Britain, giving Germany the ellusive hope of a future parity, which was previously impossible. The Panic in UK also spread to the house of commons (see the famous episode of “we want eight and we won’t wait”). It seems that through Fisher hasty decision, the Royal Navy shoot itself in the feet. -On the other hand, Fisher himself and his supporters explained that centralized all-big gun artillery was “already in the air”, the logical next step after Tsushima and the result of recent experiments with armoured cruisers and a powerful secondary artillery. One could argue that the Nelson class and others were already prelude to it and it was better for UK to take the lead of this evolution rather than following it. France for example, was just in the midst of new battleships contructions when the Dreadnought was up, and took years to catch up, entering WW1 with few dreadnoughts, as well as Russia. Only USA, UK and Germany were able to compete in this new arms race. -The other idea defended by Fisher was about cost. The Dreadnought was able to replace 2.5 classic battleships, which meant less manpower, consumption and maintenance involved. 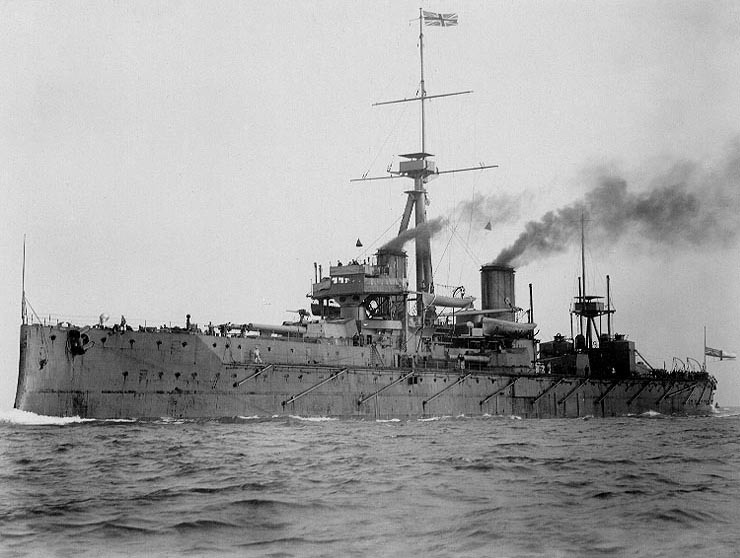 On the long-term, Great Britain could end with far less battleships, but more effective overall with this sharp edge in quality, even though the Dreadnought was more costly than a standard battleship, the choice of turbines for example was more cost-effective than VTE, consuming less, with fewer vibrations, and with the promises of full oil supply on the long run, that gave twice the autonomy in the same space; Also the centralized fire control and better gunnery systems ensure a more cost-effective firing, with more hits per volleys fired. 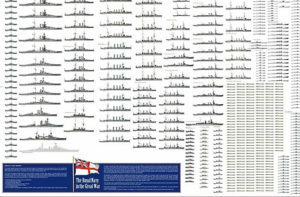 But this did not hold as the Germans started building dreadnoughts in droves which in turn obliged UK to deliver about 40 dreadnoughts in eight years to keep the pace, at a prohibiting cost… On the other hand, the Dreadnought also help shifting alliances before the great war: Great admirer of the Royal Navy, the Kaiser’s insistence to be on par with it was doomed to failure (despite the justification of a future colonial empire) since Germany had also to maintain one million men under the flags to answer its traditional enemies, France and Russia. Whereas there was no latent hostility between Great Britain and Germany, the Dreadnought changed the paradygm entirely and pushed Great Britain closer to France and Russia, forging eventually the “triple entente”. The HMS Dreadnought was accepted into service in December 1906. Already it has inspired the construction of the Bellerophon and St Vincent classes. 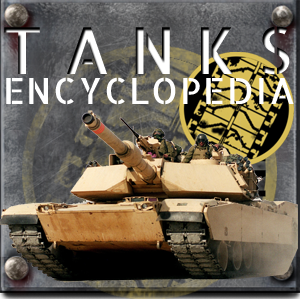 Their artillery disposal, superstructures and dimensions were similar. The new standard they imposed also traduced in longer dimensions, from 130 to 160 meters long but still 25m wide, for 18,000 tonnes against 15,000 tonnes in displacement. The artillery field of fire consisted in 6 x305mm in chase, 8 in retreat, and 8 for broadsides. The Operational career of the Dreadnought spanned however only 15 years (scrapped 1921). At first it was the flagship of the 4th Battle Squadron, and served in the North Sea with the Home Fleet, and managing to sink the U29 (Cdt Weddingen) in March 1915 by ramming it. Vittorio Cuniberti’s ideal battleship, an inspiration for Fischer. She received an overhaul in 1916 and returned into service with the 3rd Battle Squadron at Sheerness, receiving 24 and 27 pieces of 76 mm (QF and AA). She later returned with the 4th Battle Squadron of the Grand Fleet, until the armistice. 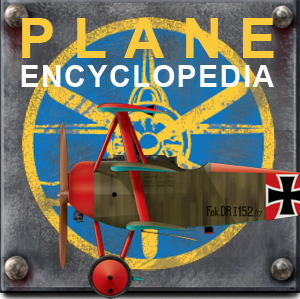 She was placed in reserve at Rosyth in 1919. The Dreadnought simply put to shame anything called a battleship to date. It could out-range, out-gun and out-pace all of these with a margin, and take punishment if needed. It single-handily launched a global naval race which really started in 1909 and peaked in 1919, before a treaty put an end to this folly. It was also the start of an Anglo-German naval arms race and a South American dreadnought race. Before 1920 about 120 dreadnought has been launched worldwide, hulls were being completed for new ones, blueprints slept in folders, or their ink was still wet on the drawing boards. However at that time, the concept was shifting towards even faster ships, the “super-dreadnoughts” that would reach at the end of ww2 close to 32 knots, twice the speed of typical 1914 pre-dreadnoughts. Armor Belt 280, Battery 280, Barbettes 280, turrets 280, blockhaus 280, bridge 76mm.